Post and Beam Construction or Timber Frame Construction? Before you start your timber frame build process, become informed on the differences between the two types of building methods. Over the years, we have found a lot of confusion exists among consumers, as well as those within the industry, as to the difference between timber frame construction and post and beam construction. The main difference between post and beam vs timber frame lies in how the timber frames are connected to each other. Both types of timber frame homes are built using large timbers and an exposed frame as part of the overall design. However, in true timber frame homes, the timbers are cut to fit into each other at the joints, and those joints are connected with mortise and tenons and then secured with wooden pegs. In a post and beam timber home, the timbers are typically butted together, and the joints are connected with steel plates and brackets and then secured with metal bolts. The craft of custom timber framing can be traced back to medieval times, when mechanical fasteners were not readily available. Many timber frame structures erected in Europe during medieval times are still standing today. 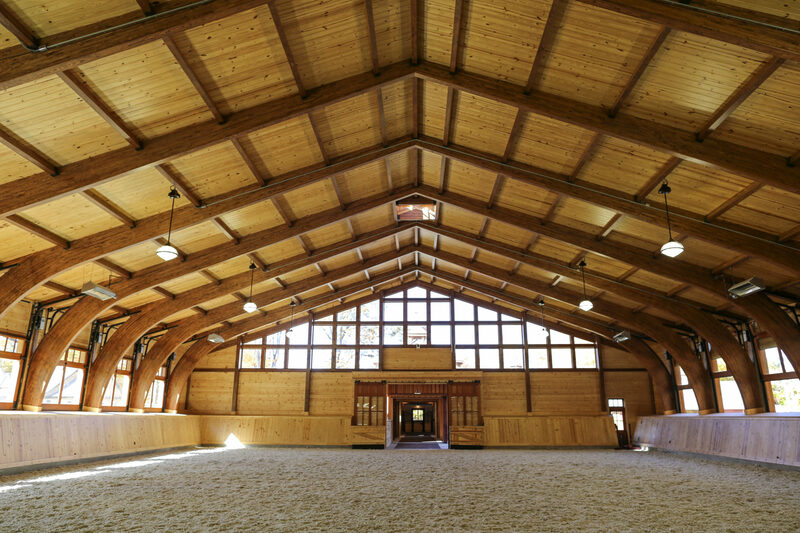 Both methods showcase the natural beauty of the timber frames and allow for open interiors and high, arching ceilings. While post and beam timber homes may resemble timber frame homes in appearance, the prominence of the steel connectors change the aesthetic, giving the home a more industrial rather than rustic feel. Timber frame construction tends to be more expensive because of the speciality craftsmanship involved in building the home with custom timber framing. However, the strength, beauty, and longevity of timber frame homes are second to none. If you are a homebuyer who is interested in building your own timber frame home, we would love the opportunity to work with you and your custom builder or architect on the design of your next timber frame home. We also partner with commercial builders on everything from community gathering spaces to restaurants, breweries, and wineries. Call us about your next build project!